Hot Mama’s – the Return of Val! 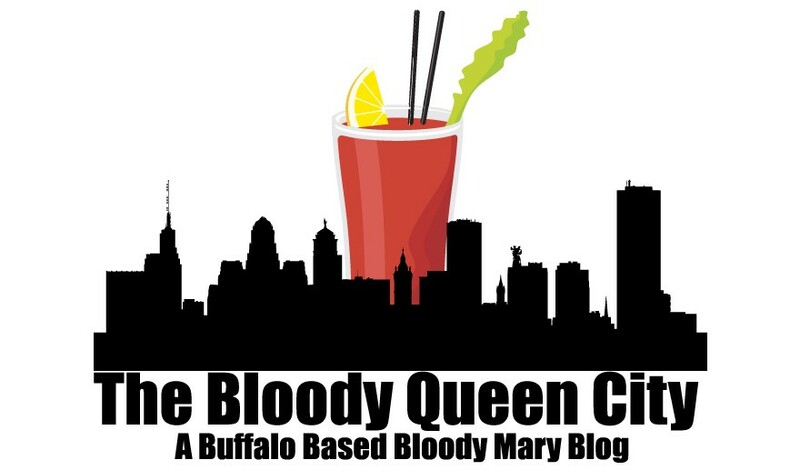 When I started my Bloody Mary journey several years ago, there was stiff competition for my favourite local Bloody between Roxy at Essex Street Pub and Val at Rohall’s Corner. But then Roxy “retired” from bar tending to become a nurse, and Val opened her own bar, but didn’t craft cocktails anymore. 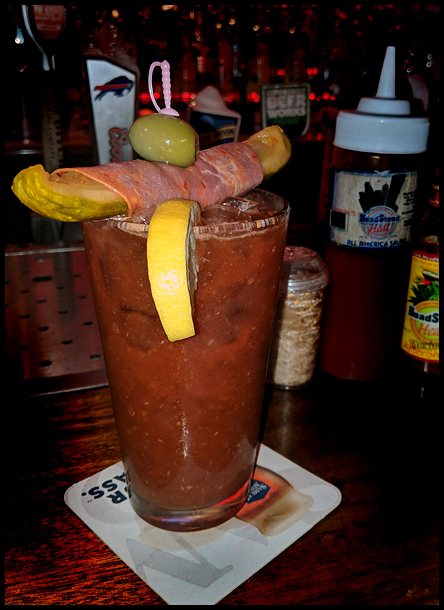 And while Val’s bar, Hot Mama’s Canteen, still had a good Bloody type drink available, it just wasn’t the same. But wait! We’ve gone to Hot Mama’s a few times recently to see our friends’ band The Healing Committee play and Val has been there! While she wasn’t really tending bar, she was around and I asked if she could make me a drink I could properly review for the website, and she obliged. Like I mentioned in my previous post about Hot Mama’s, when asking Val for a drink, be prepared to be faced with a variety of options on how she should make it – classic, fruity, meaty etc. And again, I didn’t know what to choose! I let her make the choice, basically going with a spicy classic. Be careful – if you’re not into spice, make sure you make that clear. Because it. is. spicy! 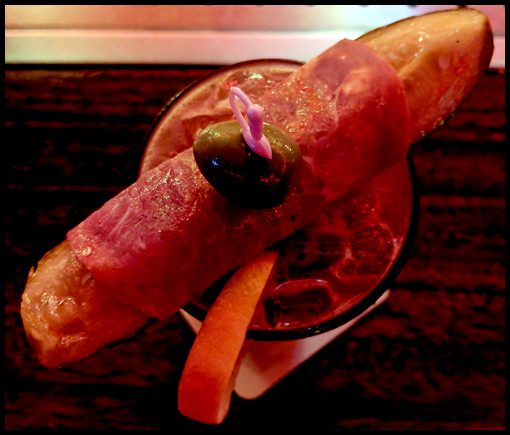 Garnished with their famous Fire Pickle wrapped in capicola the drink is spiced up with 2 kinds of Val’s Headstone Heat Hot Sauce (Mexican Aftershock and All American Sauce) and habanero sea salt (made in house from ingredients that go into the hot sauces). Also garnished with an olive and lemon slice, this drink is spicy yet fruity (from a secret ingredient! ), sweet and bright, with a fresh tomato taste brought out by citrus, and a tad of Guinness to bring it all together. Made fresh, to order, from a homemade mix, it’s definitely worth checking out. But bring a straw. Hot Mama’s has gone straw-less, and while for basic drinks straws aren’t necessary, for a Bloody it’s kinda needed. Or you can buy one of their reusable stainless steel straws for an extra…$1.50ish…which is then yours to keep and reuse. Also, if you’re into hot sauces, stop in and pick up any of the varieties of Headstone Heat sauces. In fact, a good day to do that would be June 12th, when you can check out The Healing Committee, be in a video, eat some tasty food and get some great drinks! See you there!